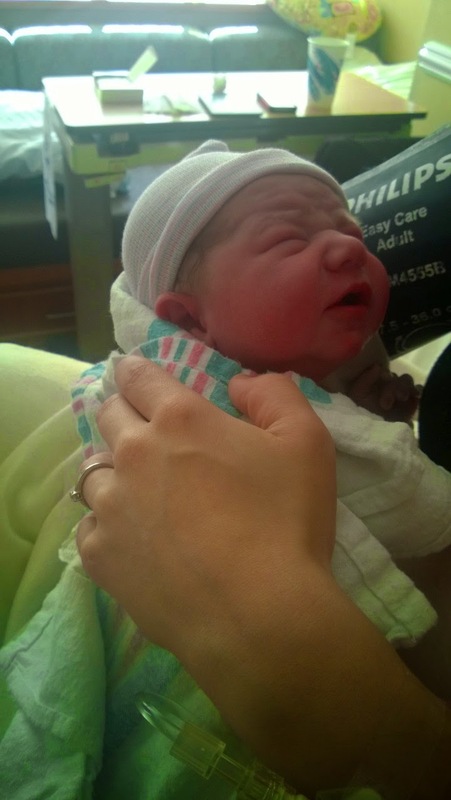 Raising Archer: Archer is here! At 4:35pm on Saturday July 26th, Archer James Jarrett was introduced to this world! He weighed a whopping 9lb 2oz, and was 22" tall. Mom, Dad, and Archer all survived the ordeal and are in good health. Elora enjoyed her time at home with Grandma Leanne (who has helped us out so much in her time here). Everything went so well, that we were released by lunchtime, less than a day after he was born.